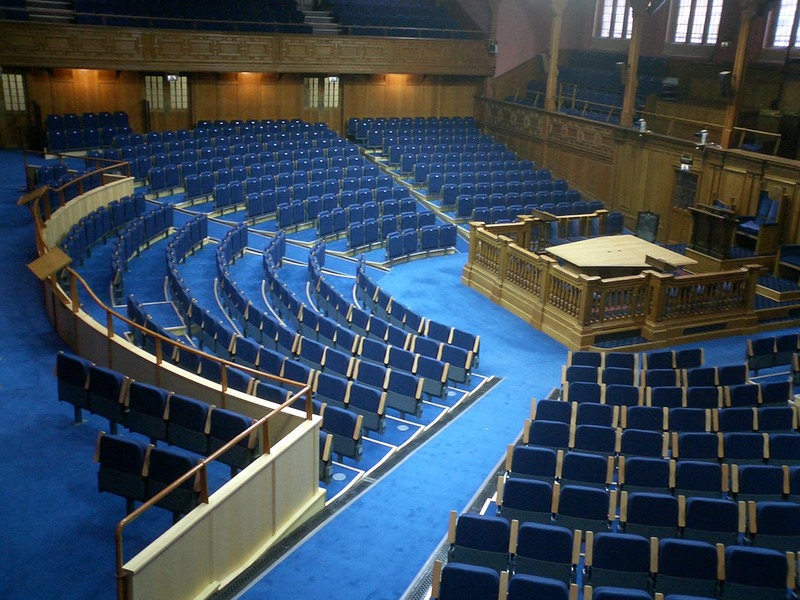 Share the post "Assembly Hall, Edinburgh"
Scotland use on a permanent basis took place during 2004-5, following completion of the new Scottish Parliament building at Holyrood. The final phase of the project involved the removal of the MSP desks, equipment & furniture, adjustments to the tiered auditorium and the installation of 780 new auditorium seats. (Euan Millar was Project Architect throughout, initially while working for Simpson & Brown Architects 1999-2003, with ICOSIS Architects acting on behalf of Simpson & Brown for the final conversion during 2003-5).